Let your style do the talking by wearing this top brought to you by Life. It has been tailored with a good quality fabric, which will provide a soft touch to your skin. 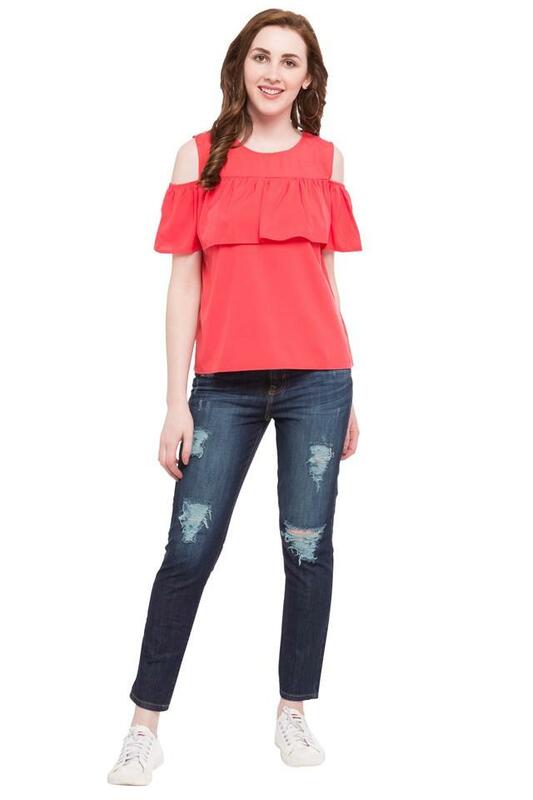 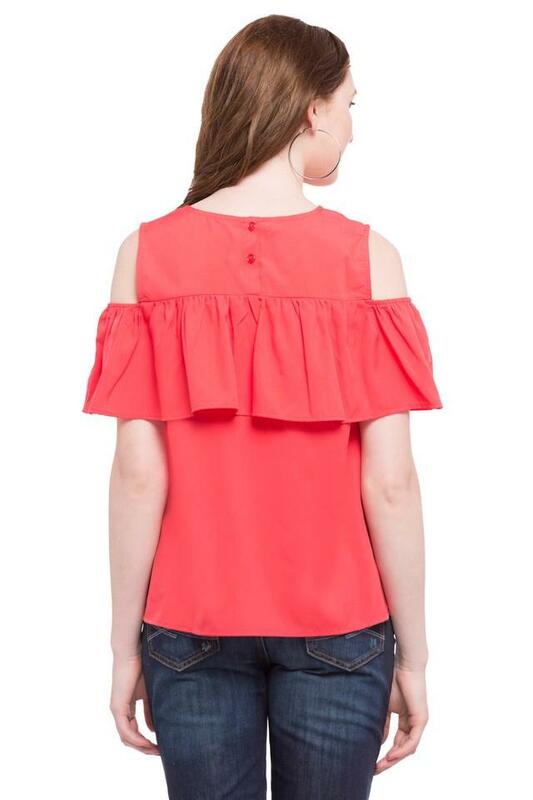 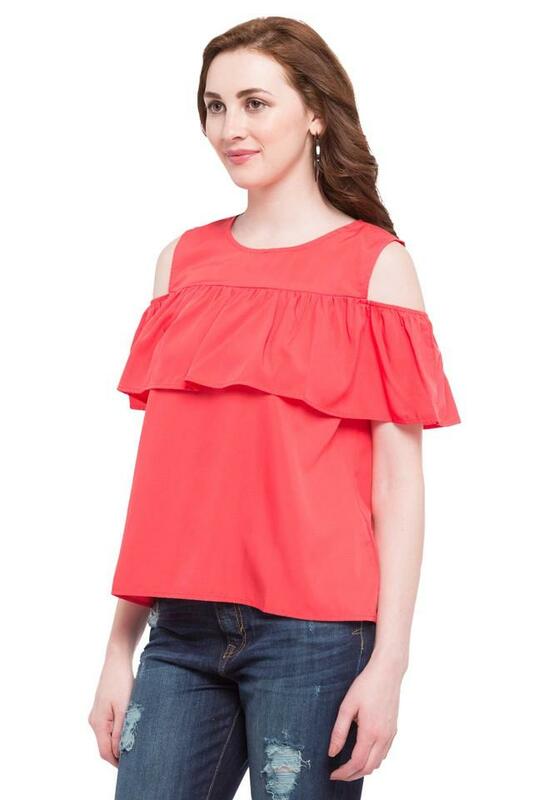 Moreover, the round neck and the ruffle detailing at the front make it all the more appealing. 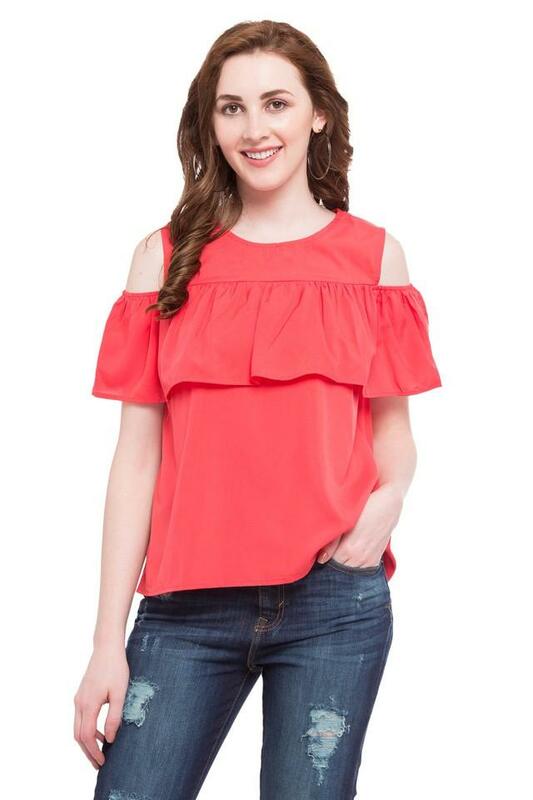 Featuring a solid pattern, this top will be an excellent pick for you to wear on casual occasions. Club it with a pair of shorts and heeled sandals to look your best.